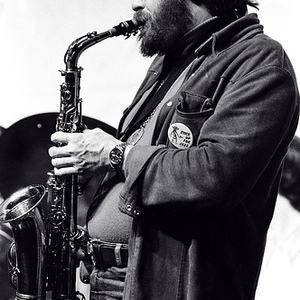 Philip Wells Woods (born November 2, 1931) is an American jazz alto saxophonist, clarinetist, and composer. Woods studied music with Lennie Tristano, who influenced him greatly, at the Manhattan School of Music and at The Juilliard School. As there was no saxophone major at Juilliard at the time, his friend Joe Lopes coached him on the clarinet. Once graduated, he quickly acquired a reputation as the pre-eminent bop saxophonist of the day. Although he did not copy Charlie Parker (AKA "Bird"), bop's greatest saxophonist, Woods was known as 'the New Bird'. Woods studied music with Lennie Tristano, who influenced him greatly, at the Manhattan School of Music and at The Juilliard School. As there was no saxophone major at Juilliard at the time, his friend Joe Lopes coached him on the clarinet. Once graduated, he quickly acquired a reputation as the pre-eminent bop saxophonist of the day. Although he did not copy Charlie Parker (AKA "Bird"), bop's greatest saxophonist, Woods was known as 'the New Bird'. After moving to France in 1968, Woods led The European Rhythm Machine, a group which tended toward avant-garde jazz. He returned to the United States in 1972 and, after an unsuccessful attempt to establish an electronic group, he formed a quintet which was still performing, with some changes of personnel, in 2004.